The direct lighting that is produced by these fixtures keeps shadows and awkward angles to a minimum. We also give you the option of adjusting the lighting for your specific need with our bathroom vanity lighting fixtures. You can choose the exact amount of light that best adheres to the décor of your bathroom. Softer light will give your bathroom a more rustic charm. It’s perfect for a bathroom that is decorated to with a more country style. 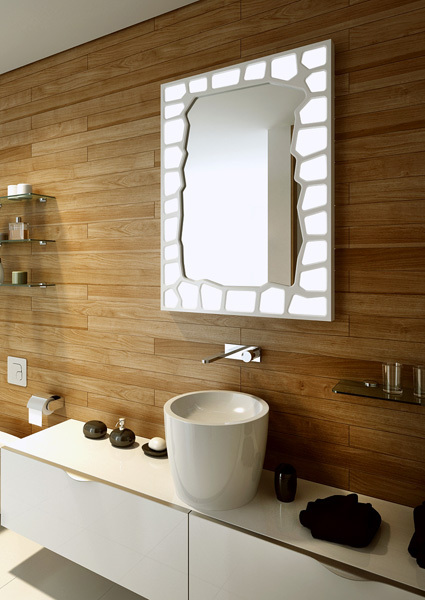 Stronger light in your bathroom will create a more modern feeling. You have the freedom to control the light in your bathroom so that it creates any type of tone you want. With bathroom vanity lighting from Aamsco Lighting, the choice is yours. 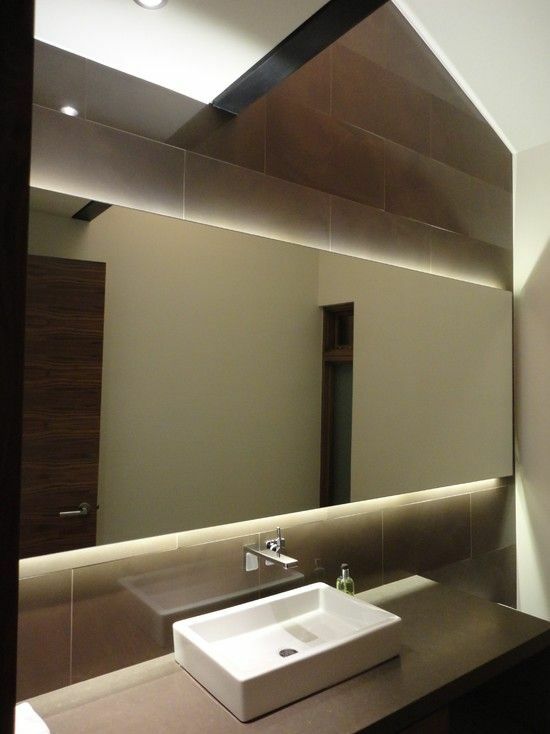 Aamsco Lighting can supply you with the perfect bathroom LED lighting solutions. Our fixtures epitomize the ideal balance of sophisticated lighting options that are as beautiful as they are practical. We can help you stylize your bathroom and give it a modern appeal that will make it more aesthetically pleasing, because it will complement the decor that you have selected. For more information on our products, please contact us. If you would like to peruse our catalog of bathroom LED lighting fixtures, please click here. Installing the Alinea® LED is easy because they directly replace the Alinea® incandescent lamps with no modification necessary. This bathroom LED lighting fixture works on a 100V-277V system, so you won’t need to install a specialized transformer or ballast. They are designed to be a lighting source that functions for an extended amount of time, producing 25,000 hours of light. 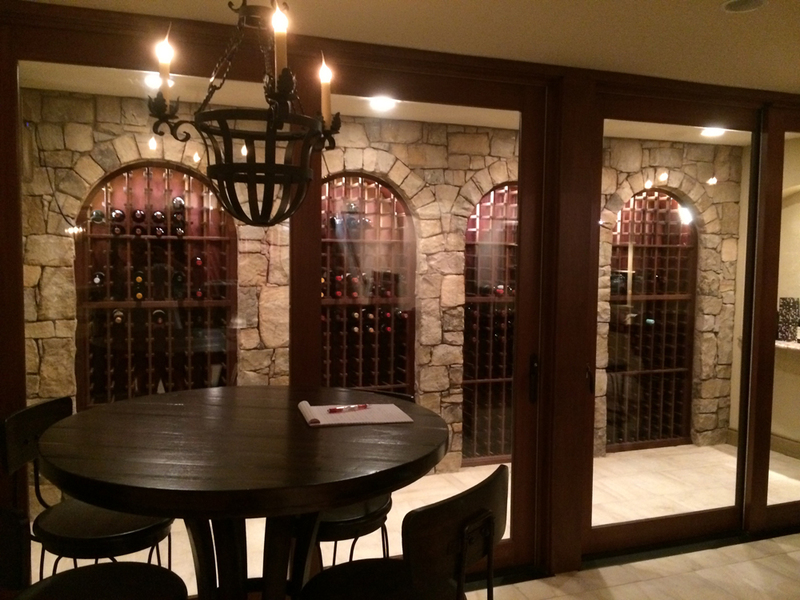 This is an impressive improvement, considering that incandescent fixtures only produce 1,000 hours of light. 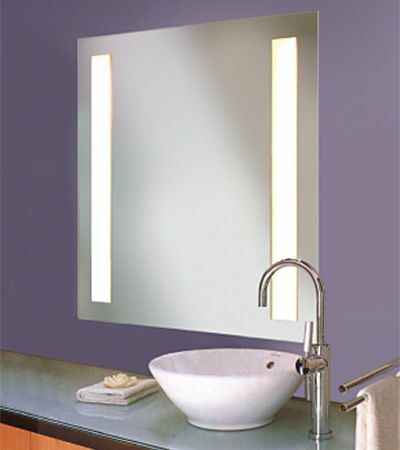 Bathroom Vanity Lighting from Aamsco LightingView our selection of bathroom vanity lighting.Contact us here to learn more. 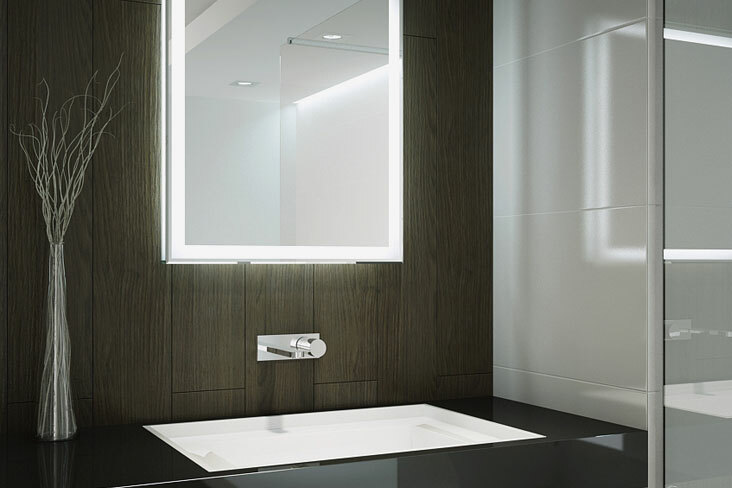 The Alinea® LED lighting fixture from Aamsco Lighting is the premier lighting solution for any bathroom. It delivers brilliance and clarity that can’t be matched. It produces a vibrantly soft light that radiates towards the warm end of the lighting spectrum. This type of light complements skin tones, which makes these fixtures ideal for beauty mirrors that are installed in a bathroom. The direct lighting that they exude will also reduce shadows and awkward angles, which will give you the opportunity to see your reflection clearly in a mirror. 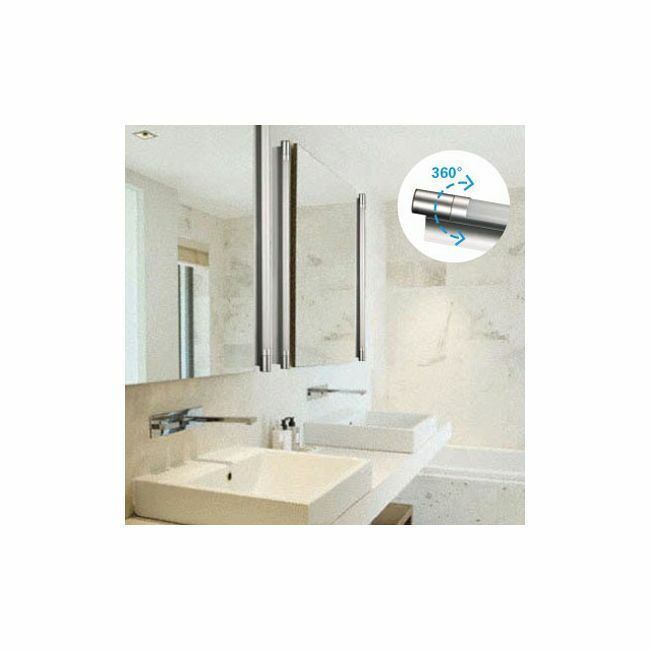 They are the ultimate bathroom LED lighting fixture for anyone who wants a lighting solution that looks great and works just as well. In addition to being a lighting solution that looks outstanding, Alinea® LED light fixtures are also sensible, because they produce an invitingly warm amount of light, but are still energy efficient. Installing LED lighting can help you reduce the amount of energy you use, which makes them a more cost effective choice for your bathroom. This will help you to promote a more environmentally friendly lifestyle. Aamsco Lighting has been providing our customers with high quality bathroom vanity lighting fixtures since 1975. 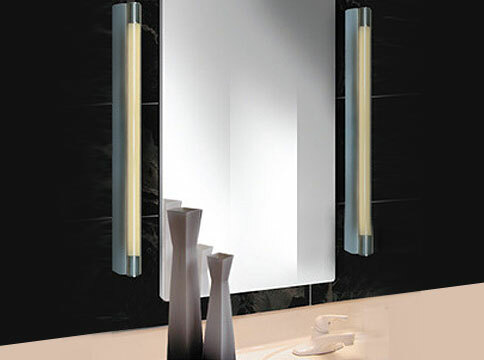 Our bathroom vanity lighting fixtures are designed to generate a luxurious ambiance in your bathroom. They can accommodate your vision of generating beauty in your bathroom. In a small bathroom, these bathroom vanity lighting fixtures can easily illuminate the whole area. You won’t need an additional lighting source. You will get light that is the essence of beauty and clarity for your whole bathroom from one lighting fixture. And choosing a bathroom vanity lighting fixture that allows you to adjust the angle of the light it produces will help you fine-tune your fixtures so your bathroom is supplemented by the ideal amount of light. Aamsco Lighting can now offer the same fixture with an LED light bulb. This allows for energy savings by using less electricity but providing the same amount of light and a soft, warm light color. 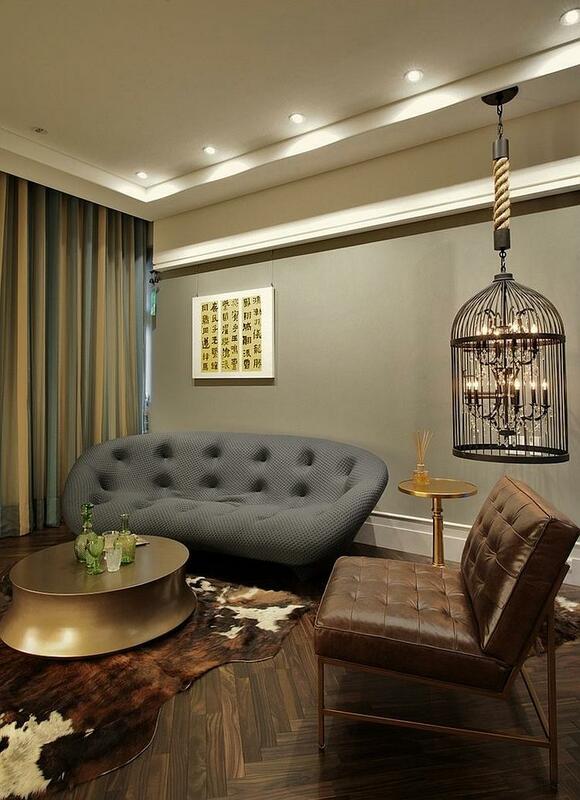 The Alinea® LED light bulb cannot fit into every incandescent light fixture, but it does fit with the Alinea® style. The perfect vanity lighting fixtures can be an imperative part of highlighting the elegant design of your bathroom. While many do not stop to think about its importance, lighting can enhance the appearance of your bathroom and make it look more regal. It can be manipulated to create a desired atmosphere or can be concentrated to put certain appealing characteristics of your bathroom under the spotlight. In fact, this room can easily evolve from simply a bathroom to something that compliments the lavish style of the décor of your home, if the light you choose to illuminate it is correct. Aamsco’s beautiful line of bathroom vanity lighting fixtures will give you the options you have been dreaming of to customize your bathroom, so that it reflects your style. You can create a bathroom with innovative lighting fixtures that will establish the perfect mood. 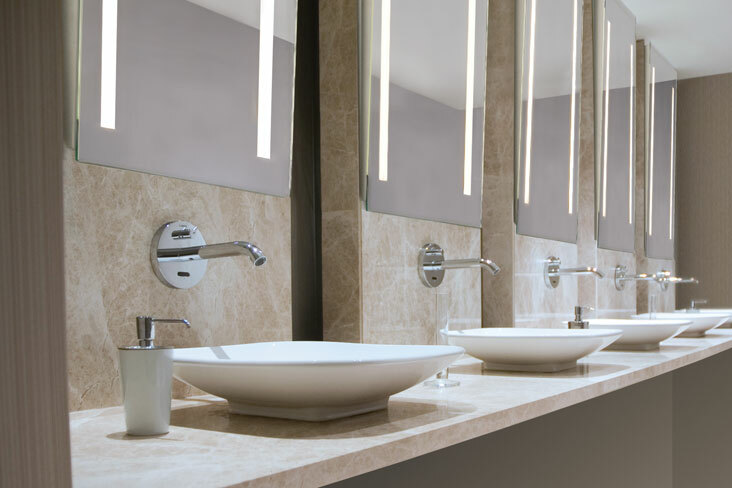 With bathroom vanity lighting fixtures from Aamsco, we guarantee that you will have the options you need to make your bathroom look fantastic. 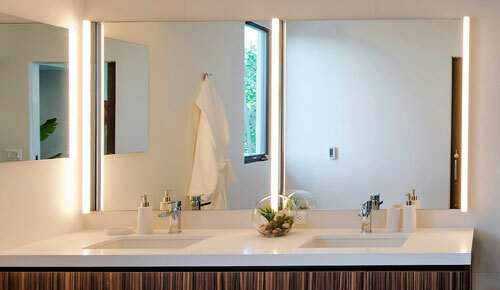 What is so unique about our bathroom vanity lighting is that it is designed to conserve space while creating a warm, aesthetically pleasing room. Space saving is achieved by closeting the lighting behind a mirror, leaving a sleek, yet sophisticated appearance without the clutter of lighting fixtures. You can design your bathroom with a simplistic style, which will attribute to the modern panache of your home. You won’t have lighting fixtures taking up excess space in your bathroom, which will give you more room for decorating it to appeal to your personal style with other accessories. 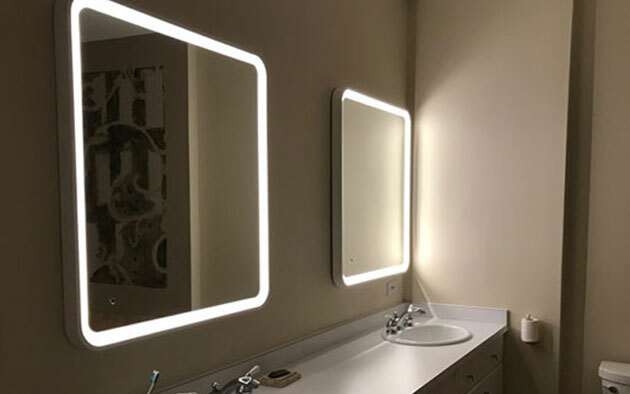 Bathroom LED Lighting from Aamsco LightingView our entire selection of LED lights for bathrooms.Contact us here to learn more. If you want to control the amount of light that is in your bathroom, Alinea® LED lighting fixtures can accommodate your needs. 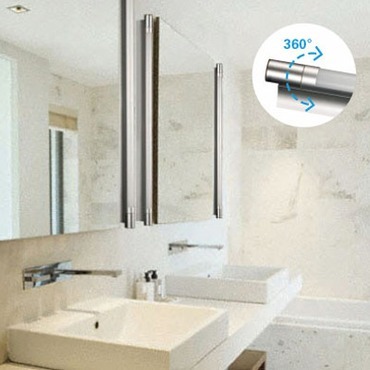 The amount of light they produce is adjustable, which gives you the freedom to control the appearance of your bathroom. How bright your fixtures shine is totally dependent on your discretion, which allows you to alter the aesthetic appearance of your bathroom to fit any mood that you would like.